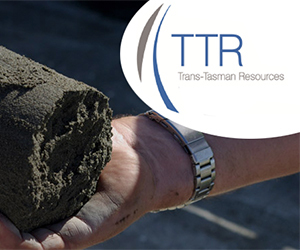 The Decision-making Committee appointed by the Environmental Protection Authority to consider an application by Trans-Tasman Resources Ltd to mine iron sand off the Taranaki Bight has announced an extension to its deliberations. The committee, which began its consideration of the application following the formal closure of the hearing on 31 May, will now deliver its decision to the EPA on 27 July. The Decision-making Committee has the power to extend timeframes, in accordance with Section 159 of the EEZ Act. “The committee is of the view that an extension of time to ensure it is possible to consider all the information presented at the hearing and prepare a fully reasoned decision is in the best interests of all persons directly affected by the extension, and the community”, explained Siobhan Quayle, General Manager of the EPA’s EEZ Applications team. Once the decision has been made, it will be delivered to the EPA, prepared for publication and publicly released as soon as practicable after that. Click here for information on the TTRL application. Click here for Minute 47 from the Decision-making Committee.